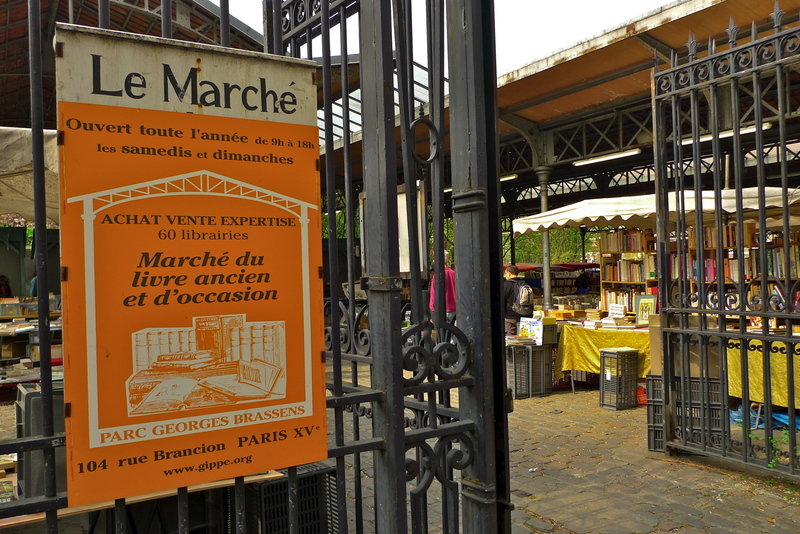 I HAD NEVER BEEN to a horsemeat market before until I visited the Parc Georges-Brassens, a nineteen acre green space in the 15th arrondissement. Where today witch hazel brightens the winter landscape and magnolia heralds the spring, a gruesome past is never far away. 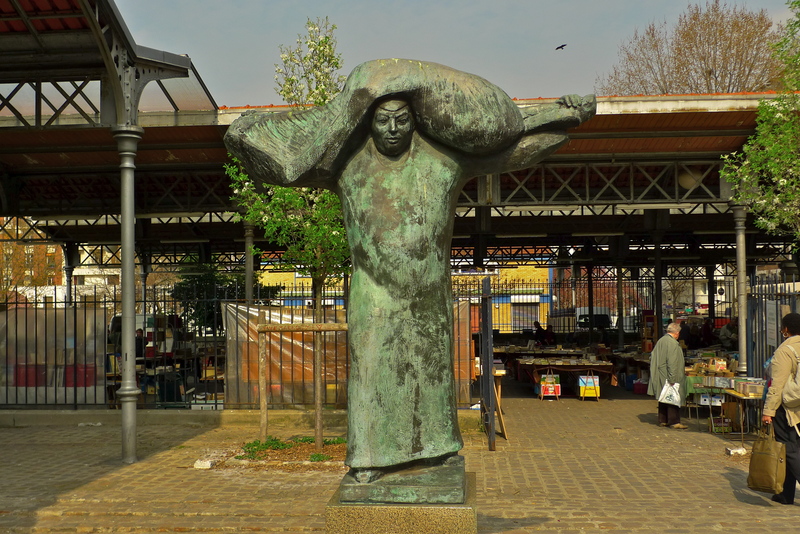 From 1898 until 1978 this was the site of the Vaugirard abattoirs, six groups of buildings surrounding a vast courtyard covering almost six acres where slaughtering and butchering took place on an industrial scale to feed the Parisian appetite. At the eastern end, bordering the rue Brancion, was the half-acre or so reserved for the slaughtering and butchering of horses. The only surviving buildings from the original abattoir complex are two former administrative buildings at what was the main entrance in the Rue des Morillons, a campanile where auction sales were held and the iron pavilion of the former horsemeat market. This pavilion still hosts a market but a less gruesome one than that for which it was originally designed. 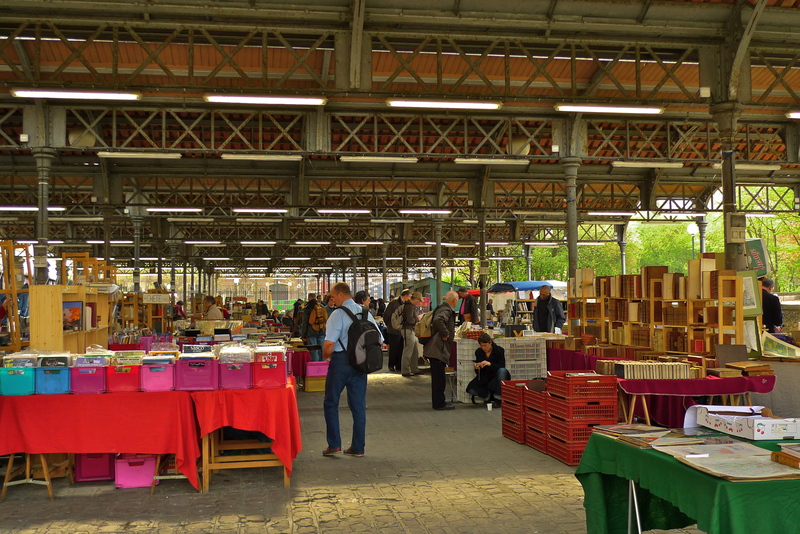 Each weekend throughout the year a market for old and second-hand books takes place here. Bibliophiles travel from far and wide to visit this market where everything from comics to rare and sometimes very expensive books can be found. Today, this iron pavilion has survived to satisfy a different sort of appetite but the former sounds within it, like the horsemeat, are gone forever.